This new luxury self-catering accommodation offers anglers the freedom to explore and enjoy this fish-rich district of Leitrim while enjoying a tranquil location and absolute comfort. It is a purpose built luxury apartment that can sleep up to 6 people comprising a double ensuite, twin room and two bunk beds, plus a separate bathroom. It is absolutely ideal for four adults. There is a dining room, a sitting room with log fire and a lovely kitchen. Everything – bed linen, towels, electric and heating – is included. It is possible to book Tooman Annex to start on any day of the week and the nearest pub is within walking distance! The perfect location for anglers with an eye to variety and a real chance of quality bream, tench and rudd. 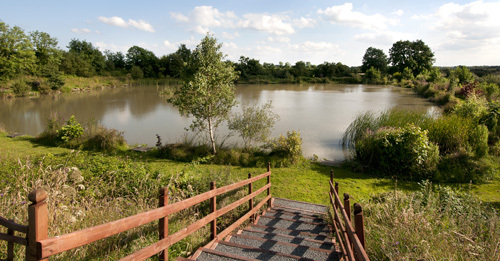 Angling guests staying here on holiday will enjoy two days complimentary fishing on three well stocked lakes containing a whole variety of fish, including carp to 20lb and tench almost 7lb. The nearby River Rynn provides lively sport with good roach and occasionally bream, while Lough Rynn is well known for its hefty tench, roach, and hybrids. There are more than a dozen other lakes within easy reach and the River Shannon. Expert angling advice on river and lake fishing, tackle shop, fresh bait always available. Guests staying in Tooman Annex can enjoy two days complimentary angling on the fishery. There are two beautifully crafted lakes in operation for pleasure fishing plus a four acre match lake and they are all three are well stocked.